Click to view the full basket. Arduino is an electronics prototyping system designed to simplify microcontroller projects. The idea is to create these projects without having to know much about microcontrollers or programming, microcontrollers for dummies is one way of describing Arduino. Arduino is a made up name that was easy to copyright, it doesn't stand for anything and doesn't have any meaning. It was conceived as a way of introducing microcontrollers to beginners by a group in Italy and the Arduino hardware and software is released under a open source license so that anyone can copy it. The name is copyrighted so that you need a license to use it to sell your product as Arduino but this is being ignored by lots of Chinese companies. It has two elements, hardware and software that form a system to rapidly develop microcontroller projects. It is based on the Atmel AVR microcontroller but you do not need to know this and it is hidden beneath the surface, which is one of the disadvantages of Arduino. It consists of a simple base board that has the microcontroller and its support circuitry with connectors to connect to plug in modules and a USB interface to download code from the PC. 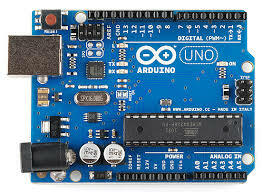 The commonest one is called Arduino Uno, which uses Atmel ATmega328P microcontroller, but there are now several others. This baseboard does not do much on its own and you need to plug in expansion modules, called Shields to do anything meaningful. There are hundreds of different shields available that provide varied projects like robot controllers, relay outputs, plant monitoring projects and many more. If someone has already done something similar, then you can just buy the shield and your project is virtually done. As they are open source, PCB files are usually available for free Eagle software. There are prototype shields that allow you to make your own circuit. Theoretically, you can stack shields on top of each other but in practice you get problems with conflicts as they use the same pins and really need to be designed together. 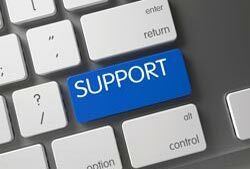 The software is an open source development environment, written in Java that can run under Linux, MAC or Windows. 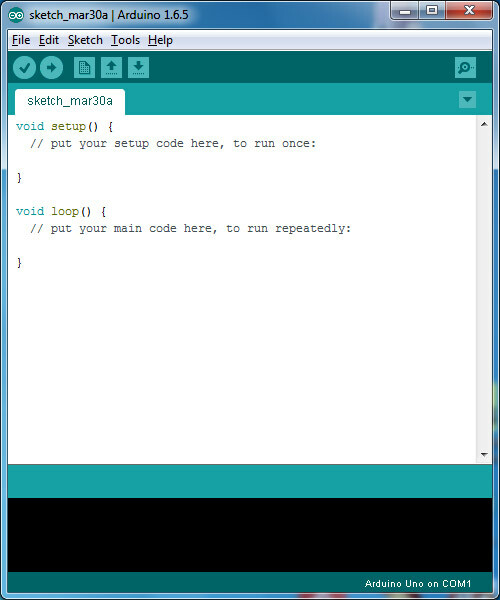 It runs a simple programming language called Wiring, which makes it faily easy to write scripts to make the microcontroller carry out tasks. These scripts are called Sketches by Arduino. Most shields come with sketches already written that can be loaded in to the software, compiled and downloaded to the base board. These scripts are a very simplified form of C, with a setup function for initialisation and a main function that runs code repeatedly. It is very good for carrying out a specific project you may have in mind, especially if you can find the right shield but it doesn't teach you much about microcontrollers and the AVR in particular. For quick results, it is great but it won't help you learn microelectronics or programming. 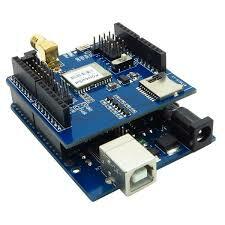 Arduino is excellent for carrying out a specific microcontroller project, especially if the same or a similar project has already been done. However, it is a bit like painting by numbers as you actually learn very little. If you want to understand microcontrollers and how to program them, you need a microcontroller course that will cover all the basics. This includes things like microcontroller layout, logic, numbering systems and program planning. Once you have covered the basics, assembly language teaches you about the AVR (or PIC) microcontroller and its peripherals like serial ports, buses and ADC. The next step is to move on to C programming as this is the best language for real development. This involves more work than grabbing an Arduino but you will be in a better position to design and develop your own projects once you have a better understanding. Kanda	produce microcontroller learning kits for both PIC and AVR microcontrollers, going back to 1995 so we know what we are doing. 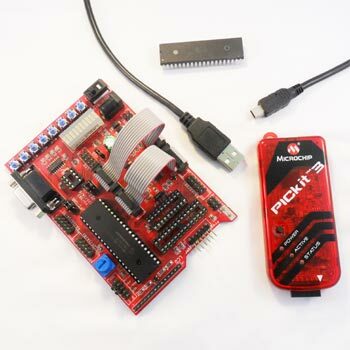 These kits include books, sample code, guides and hardware including a full AVR board or PIC board, debugger and programmer to load and test your code. Kanda supply our AVR programmer range, PIC programmer range, Universal programmers, AVR board, CANUSB and all our other products to electronic engineers worldwide. We have happy customers for our AVR, PIC and Universal Programmer and other electronic tools in UK and Ireland, Norway, Denmark, Sweden, Finland and other European countries like Netherlands, Switzerland, Austria, Germany, France, Belgium, Spain and Italy. Outside of Europe, Kanda is strong in USA, Canada, Brazil and other South American countries. We also supply our products further afield in Russia, Australia, Singapore, South Korea, Japan, New Zealand and India. In fact, wherever you are in the world, you can rely on Kanda.